What’s happening in Virginia is beyond parody. It’s a total mess. Gov. Ralph Northam, Lt. Gov. Justin Fairfax, and state Attorney General Mark Herring, all Democrats, are all engulfed in scandal. Fairfax is facing two sexual assault allegations. Herring and Northam have admitted to wearing blackface. This all began last Friday when Northam’s 1984 Eastern Virginia Medical School yearbook page featured a photo with two people in racist costumes. One is wearing blackface while the other is dressed as a Klansman. Northam had apologized to being in the photo, but then retracted it 24 hours later, saying that wasn’t him, but admitted to wearing blackface as part of a dance competition; he dressed as Michael Jackson. Herring called for him to resign, along with virtually the entire Democratic Party. And then, Herring admitted to wearing blackface and dressing like a rapper in college. The entire governing leadership is aflame. The entire Virginia Democratic Party has collapsed within the span of a week. Virginia’s state government seemed to come unglued Friday as an embattled Gov. Ralph Northam made it clear he won’t resign and the man in line to succeed him was hit with another sexual assault accusation and barraged with demands that he step down, too. Top Democrats, including a number of presidential hopefuls and most of Virginia’s congressional delegation, swiftly and decisively turned against Lt. Gov. Justin Fairfax, who stands to become the state’s second black governor if Northam quits. With Fairfax facing increased pressure to go, with a Democratic House Delegate saying he will file articles of impeachment against him if he doesn’t resign b Monday, it could be a situation where the two white guys who admitted to racist antics stay and the black officeholder is forced to step down. Yeah, that’s a good look, but these are the Left’s rules. 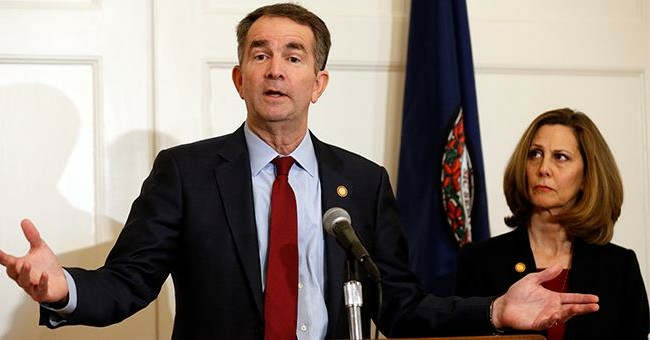 And not only did Democrats get bitten by them, but Northam thinks he can play by a different set of rules a la Hillary Clinton. To make this more of a joke, Northam has been assigned reading about the case for reparations, among other things, as he prepares to retool his agenda to highlight race and equality. The man who wore blackface is leading the charge for this…you just cannot make this stuff up. Yes, it’s BuzzFeed, but if true, and it probably is because the only person thus far who isn’t an idiot in the Northam orbit is his wife (she stopped him from doing a moonwalk at a presser), then the state should be roundly trashed and mocked as a laughing stock. Oh wait; it already is.